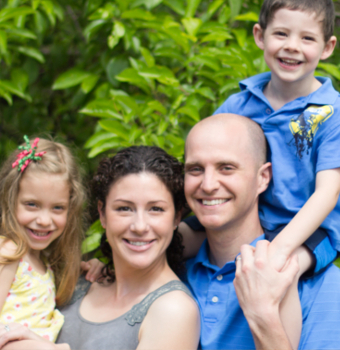 Our practice offers meaningful dentistry services for both you and your loved ones. At Bozeman Dentistry near Belgrade MT, we know that the best way to fix a dental problem is to prevent it. Our general and family dentistry services are tailored towards preventing dental problems, detection, and maintaining great oral health. We educate our patients and help them develop dental hygiene habits that will aid them for the rest of their lives. Our patients are recommended to come into our office every six months for a dental cleaning and checkups. Cleanings and X-rays | Every six months, our staff will professionally clean your teeth and remove excess tooth buildup to help with your dental hygiene. Great dental hygiene prevents cavities and help your teeth stay healthy and strong. Every six months, at your general appointments, we will also take digital x-rays of your teeth. The faster a problem is found, the easier it is to treat. Digital x-rays help us prevent tooth problems, and detect the ones that do spring up faster. Gum Disease Treatment | Periodontal disease can lead to more serious oral health problems if left unchecked. At our office, we offer gum disease treatment to our patients to help their gums stay healthy and strong. At your general appointments, Dr. McCormick will personally check and make sure that your gums are healthy. Oral Cancer Screenings | Oral cancer is a serious health problem that is easier to treat the earlier it is detected. At our practice, we offer oral cancer screenings to all of our patients to make sure that their smile is completely healthy. Our oral cancer screenings are extremely accurate and can detect oral cancer fast for better and more effective treatment. To find out more about our general and family dentistry in the Bozeman – Belgrade MT area and to schedule an appointment for a general check up, contact our Bozeman dentist office today!